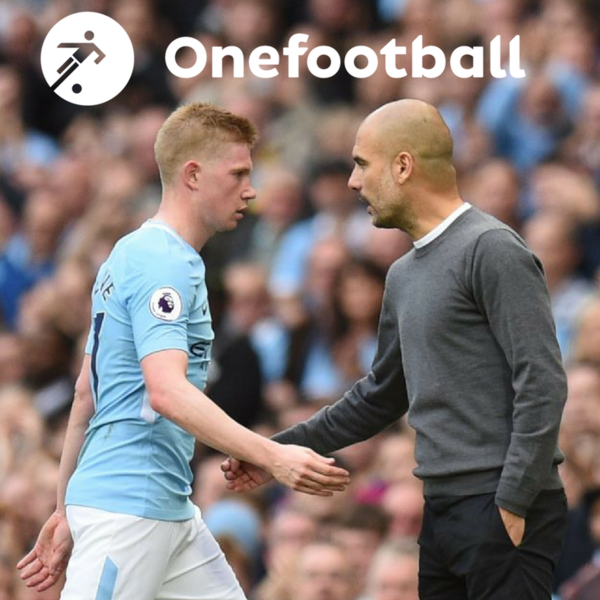 Audioboom / The genius of De Bruyne, Real Madrid v Spurs and what is going wrong with USA? In our latest podcast, Ian McCourt is joined by the Onefootball newsroom's Lewis Ambrose and Daniel Issroff. They start off this week's pod by getting down and dirty with Dortmund's defeat at the weekend. It was their first loss at home in 41 games and it came in some controversial circumstances. That is all analysed before moving on to the rest of the interesting action in Germany over the weekend including Hertha's taking of a knee and Bayern's win. With that done, it is time to look at the Premier League and the genius that is Kevin De Bruyne. He was incredible in Manchester City's thumping of Stoke but is he the best player in the Premier League? Elsewhere there was an almost to-be-expected defeat for Arsenal and some really incredible quotes from Troy Deeney. With that done and dusted, it is time to talk Champions League. One of the biggest fixtures of this group of games is in Spain and it involves Real Madrid welcoming Tottenham Hotspur to the Santiago Bernabéu. That is previewed along with some of the other tasty Champions League treats like City v Napoli and Sporting v Juventus. And finally, last week saw the embarrassing exit from the World Cup process for the USA team. Why has it gone so wrong? Who will replace Bruce Arena? And what is the future of the team? Danny has the answers. • If you want to get in touch with the podcast, then fire your emails to podcast@onefootball.com or you can hit us up on Facebook and Twitter • You can subscribe to the podcast and give us a rating on iTunes • You can do the same on Android; and you can also listen on Audioboom, Soundcloud, Deezer, Stitcher and Spotify.